Before the proliferation of TV channels on cable TV, many American households played with rabbit ears to focus the image on their television sets. 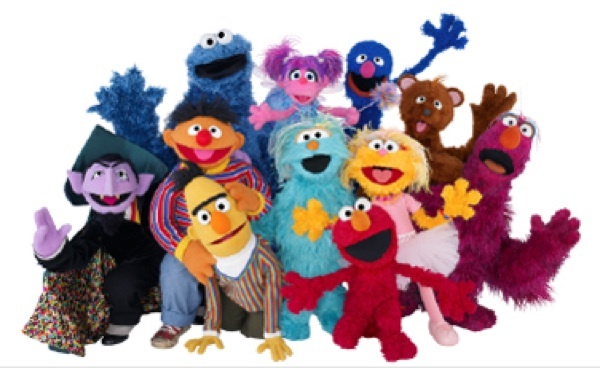 In 1969, an educational program geared towards children was launched, and the characters of Sesame Street became friends to many children. Because some children lived in areas where the broadcast signal could not be reached, a research project was also born. In a study by Melissa Kearney (University of Maryland) and Phillip Levine (Wellesley College) it was discovered that children who watched the show are less likely to get behind at school and more likely to attend class at their appropriate age level. Kearney and Levine believe Sesame Street has been proven to be more than just a key link in the field of academics. They also assert it as a beneficial aid to family support, medical and dental health, and the development of emotional skills. The key point of the study was the difference between children who could receive the signal as those who could not. Receiving the signal was proven to be helpful. Listen: Read the Psalm and focus your mind on God: Relax, and recognize His presence. Inquire: Be curious about the verbs: Am I to obey a principle; claim a promise; or am I to share a truth? Note: Keep a notebook and pen handy, so you can write down the thoughts or names that come to your mind. Know: Think about God’s goodness, grace and mercy, and then be honest with Him in regard to your aches, pains, and desires. Paul said: “Faith comes by hearing, and hearing by the word of God (Romans 10:17).” LINK 46 allows you to hear God as He speaks to you and as you speak to Him. What part of today will you take to “be still” so you can LINK-up with God and get to know Him?